Whether or not they realize it, most athletes incorporate at least one supplement into their diet. Supplement regulation is a bit confusing, and there are absolutely potential risks with using them. Get in the know. 1. Dietary Supplements: Products containing one or more vitamins, minerals, or bioactives such as fatty acids or other nutritional extracts. Function: Prevent or treat nutrient deficiencies. 2. Sports Nutrition Products: These typically contain calories or electrolytes such as sports drinks, recovery drinks, and protein bars. Function: Training adaptation and recovery through a practical and/or convenient alternative to regular food. 3. Ergogenic Aids: A physical, mechanical, nutritional, psychological, or pharmacological substance such as caffeine and creatine. Function: Improve performance. An example of a sports food could be a clif bar, which contains many added vitamins and minerals, whereas a multivitamin would be considered a supplement. Protein powders are considered supplements because they are a concentrate or isolate. The dangers of supplements can come from how they are regulated in the United States. Medications must be pre-approved after safety tests before going to market. Manufacturers of dietary supplements are not required to obtain pre-market approval from the FDA. In fact, supplement manufacturers are responsible for testing and evaluating their own product for safety and appropriate labeling. · It doesn’t require that a company register its supplement with any agency. · It restrains the Drug Enforcement Agency (DEA) and DSHEA from using regulatory authority over supplements. · Supplements do not need proof of safety and efficacy before going to market. 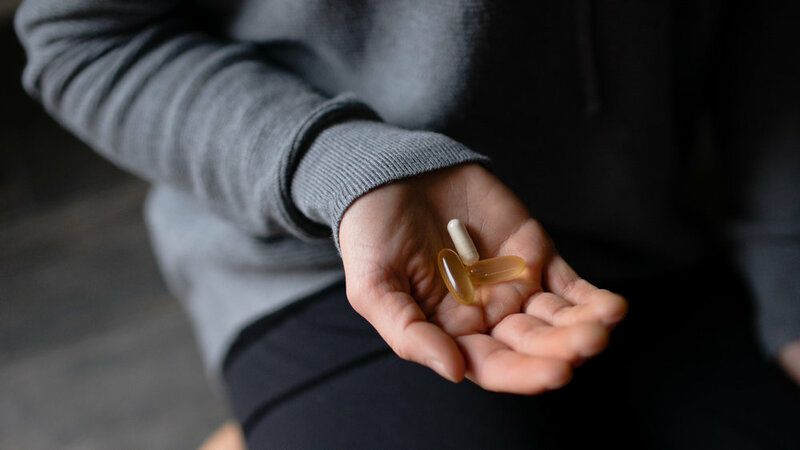 · Supplements containing a new dietary ingredient must notify the FDA at least 75 days before selling the product, but if the company fails to register the product, it can still make it to shelves before being pulled. Supplements are not as stringently regulated as medications by the FDA. What risks does this pose to the consumer? Multiple studies have tested supplements to identify present compounds compared to the ingredients list/label and found compounds not listed on the label that would lead to a positive doping test. Have you ever become confused while reading a supplement label? Yeah, me too! Some supplement companies use outdated chemistry nomenclature to confuse consumers and regulators. Supplements can also list compounds that don’t even exist. This makes it very difficult for consumers to read and evaluate labels. If you’re still reading, you might think I’m exaggerating these claims. I would like to think that this does not happen often, but there are absolutely supplements in the United States that have been pulled due to poisoning consumers. This can occur because there is no limitation on the amount of compound in an extract or concentrate. This poses risk for toxicity. It’s the job of every collegiate and professional athlete to stay up to date on the banned substances list published each year by the United States Anti-Doping Agency (USADA). Accidental dopings are inexcusable. Do you remember the 2016 Maria Sharapova doping debacle? A medication she was taking for the past 12 years (legally) was added to the January 1, 2016 banned list. She failed to review the updated list, resulting in an unexpected failed drug test! Yikes! She was banned from professional tennis for 2 years. This ban has since been reduced to 15 months, but it’s a nightmare either way. Many collegiate athletes have access to an on-campus sports dietitian, so I recommend inquiring about any supplements one is currently taking or considering purchasing. So, how do you find a safe supplement? There are multiple independent testing agencies that test supplements for identity, (does the product’s contents match the label? ), potency (does the product contain the amount of the ingredient listed on the label? ), and bioavailability (does the product break down appropriately in the body for use?). Supplements who pass these agencies’ tests may bear the agency’s seal of approval on the product. Supplements are definitely warranted when there is a deficiency present. And by no means am I strictly anti-supplement in other instances, one just needs to understand the rationale behind the use of specific supplements, especially when most are so expensive. Look out for our next post about a supplement I actually recommend for most people. 3. Burke LM, Castell LM, Stear SJ. BJSM reviews:A-Z of supplements: dietary supplements, sports nutrition foods and ergogenic aids for health and performance. Part 1. BrJ Sports Med. 2009;43:728-729. 4. Geyer H, Parr MK, Mareck U, et al. Analysis of non-hormonal nutritional supplements for anabolic-androgenic steroids - results of an international study. Int J Sports Med. 2004;25:124-129.